1Reduce waste and save resources by collecting and reusing waste timber. 2Offer volunteering and training opportunities to marginalised people in West Yorkshire, giving people practical experience to grow their skills and gain employment, or simply expand their social network and be a part of something positive for our community. Leeds Wood Recycling offers an ethical, cost effective and convenient wood collection service. We work in a similar way to a skip hire company, but offer a sustainable alternative to waste disposal as 100% of our collected wood waste is sorted, repurposed and recycled in some way. We collect waste wood from a variety of companies and buisnesses from firms that have pallets and wood packaging waste, local engineers, theatres, production companies through to private house rennovations. We also work with large national building sites: the construction process continually generates so much waste wood, much of which is reusable so keeps our shop stock varied and sustainable. The wood is then bought back to our warehouse, processed and repurposed to sell to the public in our shop. Doing this is very labour-intensive so creates lots of jobs, training and volunteering opportunities, providing local people with new skills and confidence to find work and improve their lives. 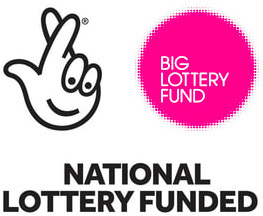 We aim to be part of the regeneration of our local area and provide a positive impact. If your organisation normally uses a skip to get rid of your wood waste – we can compete and offer a better deal! See our collection page for more detail on how our collection service works or give us a call. We are a sustainable and cost-effective alternative to small skips. Where you might otherwise use a 4- or 8- yard skip for waste wood, we can come and collect waste wood at a very competetive price. 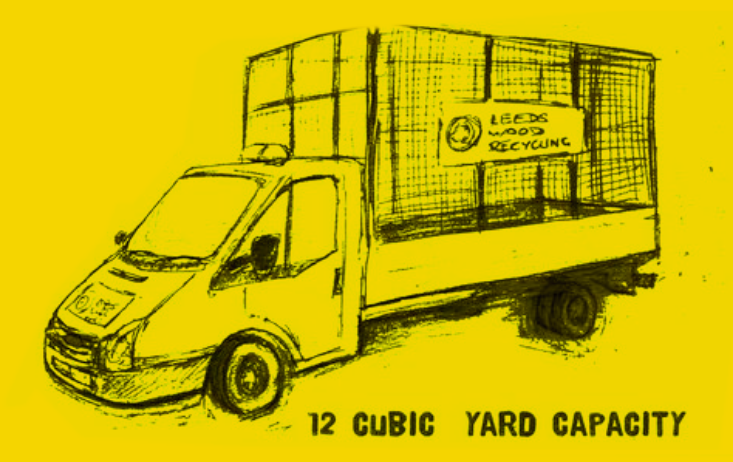 Our caged collection van has a capacity of 12 cubic yards! What we do has huge environmental and social benefits, whilst saving you money. We don’t collect from organisations like skip companies or the council (from their waste sites), because they generate such huge quantities of wood waste – well beyond our current capacity! Collections of waste wood. We charge to collect waste timber, but charge less than it costs to put the same amount of timber into a skip. High-quality collected wood suitable for DIY or building projects. Bespoke wood products made from recycled wood, such as chopping boards and wooden pallets. Services such as cutting, sanding, planing and waxing wood. Check out our social media as we receive unusual and unique items all the time. We offer a cost-effective and efficient collection service for all wood waste. Working with us will ensure that your waste is reused in the most environmentally beneficial way and will help us to create jobs for local people, so no matter where you are, what industry you are in or how much wood waste you generate, we can help.